Thanksgiving is just around the corner. You have bought everything on your shopping list and company is on their way, but not everything is set. You have not taken the time to decorate. Is it too late? Of course not. If you are down to the wire and need ideas to decorate your house last minute, try some of these ideas. The quickest and easiest way to decorate is to use nature that surrounds you. Do you have leaves on the ground that are full of color? What about nuts and berries or pinecones? Anything in your area can be used to quickly make a centerpiece for the table or a wreath for the door. If the colors are not right, you can always spray paint them the colors you want. 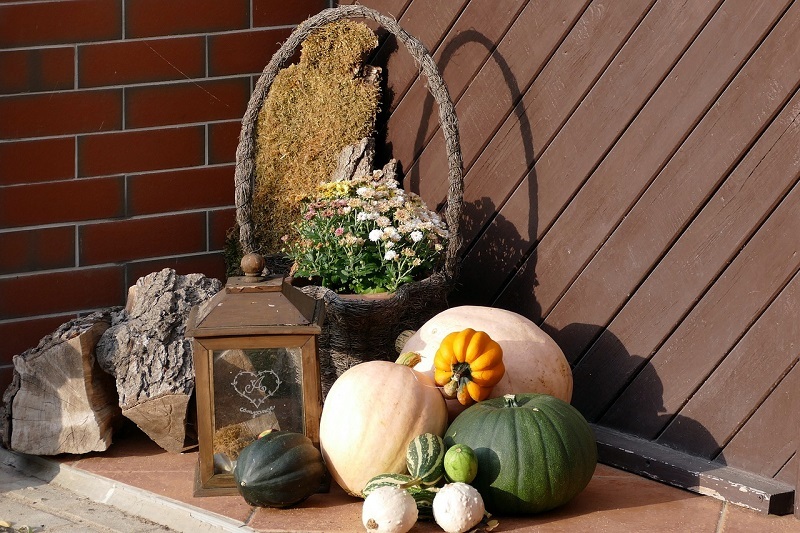 Use pumpkins to decorate the front porch and gourds to decorate the rest of the house. You can cut open the gourds, scoop out the insides, and place candles inside. You could even put fall-colored flowers inside of the gourds instead. Place those around the house or on the dinner table.Take a walk outside and get creative using what nature has given you to decorate inside. Another quick and easy way to decorate is to repurpose things you have lying around the house. Do you have old decorations that can be refreshed or turned into something else? For example, if you have a wreath that is seen better days, can you use the elements from the wreath and make a centerpiece from it? 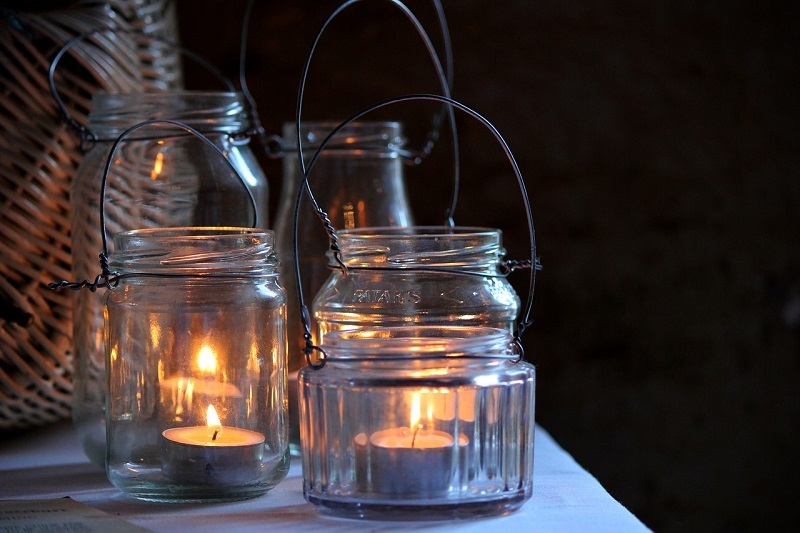 Mason jars always have the potential for any type of decorating. You can use them as vases, candle holders, and object holders. Fill the jars with acorns, nuts, candy corn or other candies with an Autumn feel. You can even put battery-operated lights inside them. The possibilities are endless. Getting the kids involved with helping make decorations for the home is such a fun and creative way to think outside the box. 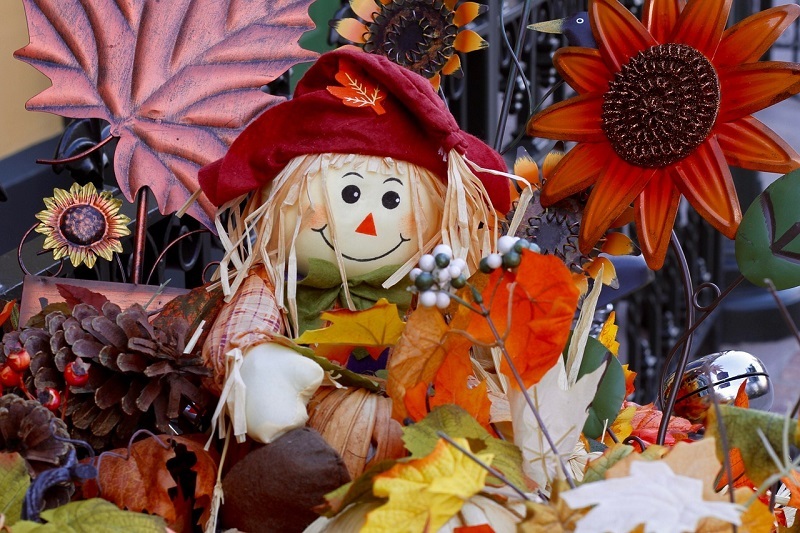 Have them create turkeys, pilgrims, and other Thanksgiving crafts. Use them as placemats, frame them in fancy picture frames and place or hang on the walls around the house. Cut strips of brown, yellow, orange, and red construction paper strips for the kids to make paper chains to hang as a garland around the dining area. Have them use pinecones and acorns to create turkeys. Enjoy the simple, innocence of the children’s creativity to impress your guests. 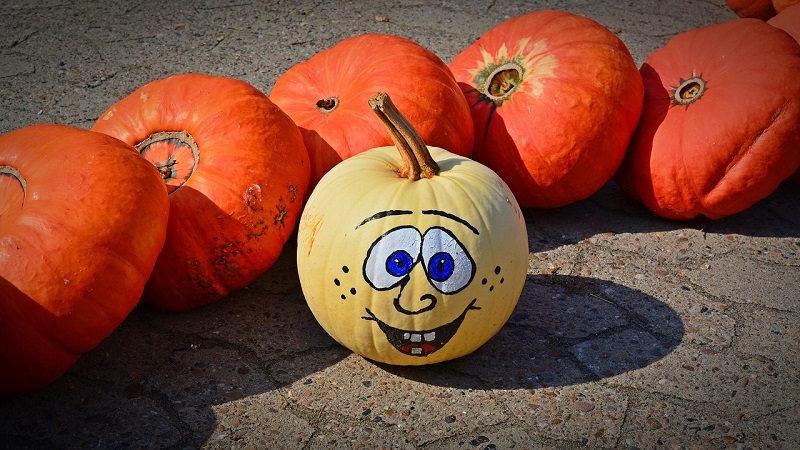 Find or create subway art or other printable art to put into picture frames or modge podge onto pumpkins or scraps of wood. Place the artwork around the house. Do not forget to decorate the bathroom with your printables as well. You do not have to stress yourself out about the home decor because it is at the last minute. Make it simple and easy. Use things you have around the house to create beautiful, fresh decor, and do not forget to involve the kiddos.